Allison Ansell is a partner with the Firm and Chair of the Family Law Department. Ms. Ansell earned her B.A. from American University and her J.D. from the Western New England School of Law. She is admitted to practice in Massachusetts, as well as New Jersey. Ms. Ansell served as the law clerk to the Honorable Alexander D. Lehrer, while he was the Presiding Judge of the Family Part of Monmouth County. She is a member of the American Academy of Matrimonial Lawyers and the Monmouth County Bar Association, including the Early Settlement Panel, Monmouth County. 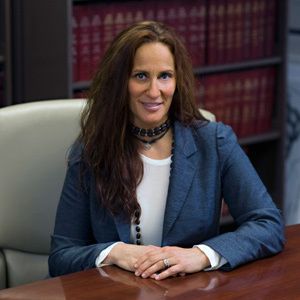 She is currently the Chair of the Family Law Committee and President of Woman Lawyers, Monmouth County. She has served as a member of the District Ethics Committee, Monmouth County.